Warrington Security Guards, Manned Guarding Cheshire. 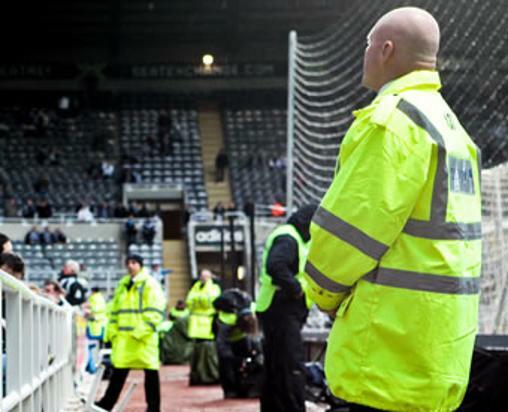 Spartan Security provide Security Guards in the Warrington area that are fully insured and vetted. Including: Great Sankey, Westbrook, Burtonwood, Winwick, Croft, Culcheth, Woolston, Grappenhall, Stockton Heath, Appleton Thorn, Stretton, Birchwood, Daresbury, Old Hall, Fearnhead, Padgate, Thelwall, Higher Walton, Appleton, Warrington Town Centre, Paddington, Orford, Walton, Latchford, Penketh, Gorse Covert, Cuerdley, Golborne, Glazebrook. Security Guards are hand picked and have a vast amount of security experience at all levels. Security Guards have also worked as Door Supervisors or Close Protection Operatives. All of our Security Guards are fully SIA licensed, CRB checked and insured. We vet all of our Security Guards to BS 7858 2012 Vetting and Screening standard to ensure we employ only the most reliable and trustworthy individuals. All of our Security Guards receive extensive training to ensure they meet the high level of standard we expect from them. Spartan Security understand the importance of keeping your premises safe and secure at all times. Our Warrington Manned Guarding service is specifically tailored to the needs and requirements of our clients whilst being cost effective. Spartan Security provide unsurpassed, professional SIA licenced security guards for the Warrington area. Spartan Security have a broad range of commercial and residential clients - delivering the ultimate in peace of mind, every time. We certainly live up to our name in terms of our service: everything, from our personnel and training, to our state-of-the-art security systems, is of the absolute highest standard. Plus, we take a pro-active, personal approach to every assignment - which means we'll get to know you and your requirements, and tailor a solution to fit your needs and budget. Whether you're looking for security guard presence in a public building or construction site security with Manned Guarding, VIP security with Close Protection, private security, event security, school security, office security, site security, building security or wish to safeguard where you live or work with Residential Patrols, Mobile Security and Security Systems - you can rely on Spartan 24 Hour Security, for confidence, dependability, affordability and true expertise. Covering your security needs in all areas of Warrington, Cheshire, Merseysde, North West England, we have an unrivalled longstanding, North West England security presence in many schools, construction sites, commercial and residential areas. We also specialise in crowd management security for shows, exhibitions and events.